At PTN, we celebrate little wins every day. From giving high fives to eating snacks to tying shoes, we know that these can be big milestone moments for a child with special needs. 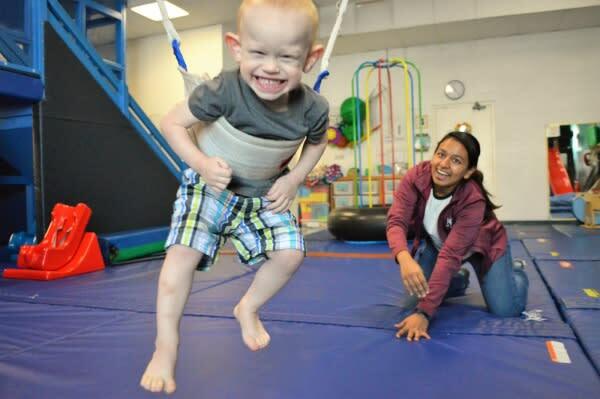 Thanks to generous support from our community, PTN’s dedicated therapists provide 150,000 hours of vital therapy each year to help children of all abilities reach their fullest potential. No win is too little to make an impact. And, no donation is too little to make a difference in the life of a child. This holiday season, please consider giving what you can to support the 2,500 children and families we serve. Did your kid ace her math test? Did you finally wake up for that 5am workout class? Share your own little wins to encourage donations that help children achieve life-changing capabilities. Use the hashtag #littlewinsforPTN and don’t forget to include a link to support our year end campaign—www.pediatrictherapynetwork.org/donate.